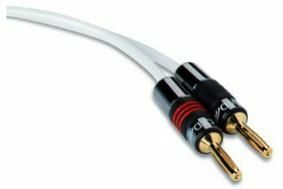 QED's making plans for XTC speaker cable | What Hi-Fi? The company says the new arrival, which is based on the 'X-Tube' geometry of the Silver Anniversary XT but uses pure copper conductors, will offer outstanding performance, despite being pitched at a very affordable £4 per metre. That makes it the lowest-priced cable to use the 'X-Tube' design: three 99.999% Oxygen-Free Copper braids are wound round a hollow central core, then wrapped in clear Mylar. The whole cable is covered in a flexible outer jacket with a pearlescent finish. QED is a brand of Armour Home Electronics.